Discussion in 'Gig Alert' started by mabnotes, May 2, 2016. Hey TGP - Mike Baggetta here... 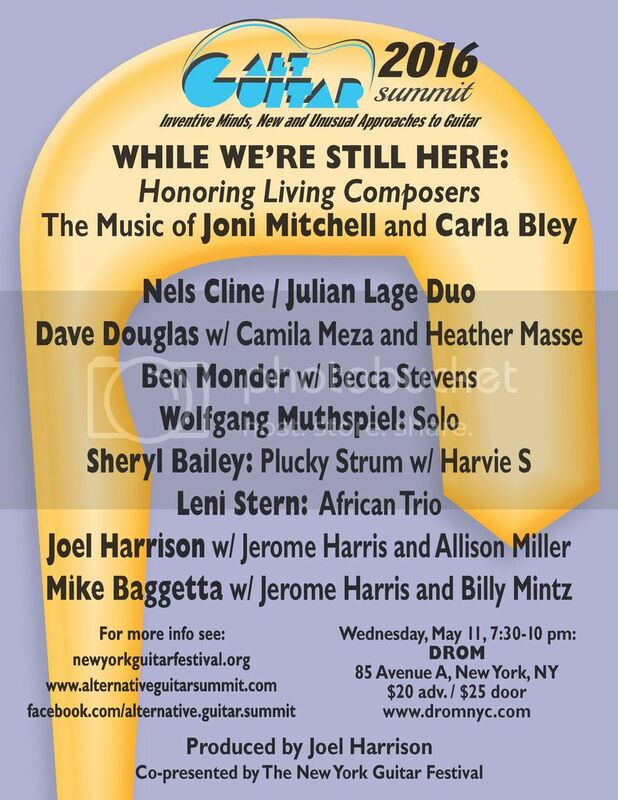 I'm excited about being a part of this upcoming show in NYC on May 11th as part of the Alternative Guitar Summit/New York Guitar Festival, so I wanted to share it with you all! There's a lot of great guitarists in one place this night - please say "Hi!" if you make it out! Also of note is another Alt Guitar Summit show on Monday, May 9th at National Sawdust in Brooklyn, NY. That night features David Torn, Anthony Pirog, Ben Monder, Elliot Sharp, Patrick Higgins and Dither Guitar Duo... I will be there for sure!